Blatant disinformation spews from the western media. And law is never mentioned. Sen.Mark Rubio can threaten a most cruel assassination of Nicolas Maduro, whilst Trump, Bolton (1) and Pence promise that ‘everything is on the table’. Psychopaths join together very easily and according to Hare (2) they make up about 4% of all populations worldwide. In a rare acknowledgement, the “Israeli” entity confirmed Saturday that it had conducted an airstrike on Syria, targeting Damascus airport. At his weekly cabinet meeting, “Israeli” Prime Minister Benjamin Netanyahu, confirmed that the “Israeli” Occupation Forces had conducted an air raid, saying that “Just in the past 36 hours, the air force attacked Iranian depots full of Iranian weapons in the Damascus International Airport”. Retired Lebanese Major General and political researcher, Hisham Jaber, highlights some key issues regarding the “Israeli” airstrike on Syria. 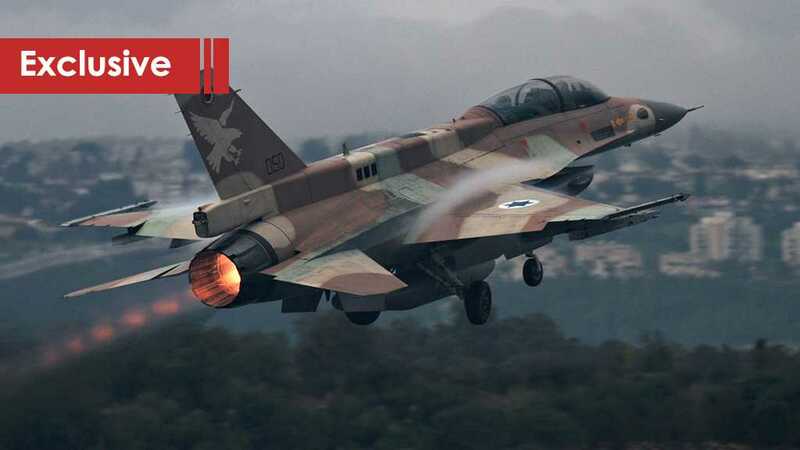 The “Israeli” entity typically refrains from commenting on individual airstrikes in Syria, but does generally acknowledge that it carries out raids against “Iranian- and Hezbollah-linked targets” in the country. In this context, Maj. Gen. Jaber slammed these “Israeli” allegations saying, “It is one thing for ‘Israel’ to claim hitting Iranian and Hezbollah targets – which is not true at all – for wherever there are Syrian troops, Iranian advisors are present”. The “Israeli” acknowledgement came at a time when the IOF had announced it has completed the so-called “Northern Shield” tunnel digging operation, amidst intensive reports on “Israeli” media speculating why Hezbollah Secretary General His Eminence Sayyed Hassan Nasrallah hasn’t commented on the ongoing events. “Regarding the tunnels, irrespective of their presence or absence, it has been said that tunnel digging breached United Nation’s resolution 1701. But what is important is knowing the exact date these tunnels had been allegedly dug, if any,” said Gen. Jaber. He went to explain that, “Had these alleged tunnels been dug by the Resistance between the years 2000 (the end of the ‘Israeli’ aggression) and 2006, then they did not breach any resolution, since UN resolution 1701 had not been declared at that time,” adding that “We are free to do whatsoever on our land”. Maj. Gen Jaber pointed out that the aforementioned issue should have been stated bluntly by the Lebanese State when faced with the UNIFIL’s statement regarding the tunnel digging. “‘Israel’ should stop targeting Syria under the pretext of preventing Hezbollah from acquiring more missiles via Syria”. A final point regarding the alleged tunnels, Maj. Gen. Jaber asserted that “the Resistance’s stance regarding that issue is wise. And it doesn’t want to get caught in a give-and-take situation with the ‘Israelis’”. The retirement of every chief of staff of the “Israeli” army, with some exceptions such as the resignation of Dan Halutz following the 2006 defeat in Lebanon, is normally accompanied by propaganda and theatrical displays. 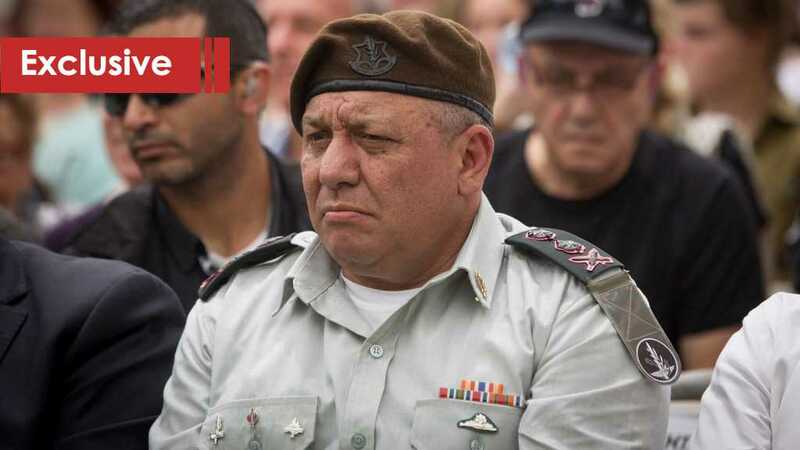 Putting that aside, we find that Gadi Eisenkot’s retirement from his post, his exit from military service and the succession of Aviv Kochavi coincide with major strategic and practical developments surrounding the Zionist entity. At the level of the theatrical display, Eisenkot was keen to appear in the media, trying to showcase what he called achievements against the axis of resistance. To this end, he conducted a series of interviews that grabbed headlines and newspaper articles in a celebratory manner. What made the “Israelis” really happy during Eisenkot’s term was that he did not involve them in any war with regional foes – especially since the public is aware that the internal front will be one of its main arenas in any broad confrontation. In the past four years, however, it has been become apparent that “Israel” – during Eisenkot’s term – has adopted a “brinkmanship” policy in the hope that it will extract concessions from Hezbollah and restraint it in case Tel Aviv opted to launch an aggression. It is well known that one of the conditions for a successful “brinkmanship” policy is that one side succeeds in persuading the other that it is prepared to go to the limit. But Hezbollah faced this policy with a firm stance forcing “Israel” to retreat and back down. Although “Israel” had many reasons for the operational initiative, the political and security decision makers backed down due to their concerns over the price of any military confrontation. In light of this, “Israel’s” messages of intimidation turned into additional victories for Hezbollah enhancing the resistance’s deterrence force. As such, the enemy became more exposed. In this regard, the enemy tries to mislead when praising calm with Lebanon, especially since it did not want this calm, which formed an umbrella for the resistance to continue to accumulate and develop its military and missile capabilities. At the very least, Tel Aviv was seeking a similar version of what was happening in Syria. It terms of ambition, “Israel” aims to exploit Hezbollah’s preoccupation with countering Takfiri terrorism, to attack it, destroy its strategic capabilities or restrict it. Thereby giving “Israel” a wide margin in attacks at the local and regional levels. On the other hand, calm was a demand for the resistance for several reasons. First, the resistance does not adopt an open war strategy with the “Israeli” entity. It has its other strategy in the struggle with the enemy in Palestine. Second, it provides it with the opportunity to continue to build and develop its defensive, deterrent and offensive capabilities. And this is what happened. And third, it is a demand of the Lebanese people as it is a gateway to building and resolving crises. A quick glance back reveals that these demands and objectives have been achieved to a very large extent, distinguishing Lebanon from all of its Arab neighbors. The negatives that it is currently grappling with are the result of the performance of the ruling political class at the economic, political and social levels. It is clear that if the chief of staff of the “Israeli” army had to speak objectively, in response to the army’s command, Syria has won, and the threat of rebuilding the Syrian army is again on the horizon. Hezbollah along with Syria triumphed and removed an existential danger threatening it and the people of the region. The axis of resistance triumphed in the battle regionally. All “Israeli efforts to drain Hezbollah and divide Syria have failed. The resistance succeeded in developing its military and missile capabilities. In light of this, Hezbollah’s Secretary General His Eminence Sayyed Hassan Nasrallah announced that the group succeeded in acquiring precision rockets. “Israel” recognizes the effects of the rockets as dangerous to regional equations and its strategic depth. However, the effects of possessing precision missiles are more significant than the effects of the tens of thousands of rockets themselves. In an article titled “Pakistan abruptly stopped calling out China’s mass oppression of Muslims. Critics say Beijing bought its silence”, one of the outlet’s news reporters attempted to make the case that China paid Pakistan off so that it wouldn’t use its influence in the larger international Muslim community (“Ummah”) to rally its co-confessionals against Beijing’s alleged mistreatment of the Uighur. The author drew attention to a widely publicized fake news report that the country’s Federal Minister for Religious Affairs supposedly brought this topic up in a critical way when meeting with the Chinese Ambassador last September. Bothofficials later denied the media’s reports about their talks, but the damage was already done because few people who heard the fake news were made aware of their response. من المؤكد أن ملاحظة المتغيرات السياسية والعسكرية الكبرى في المنطقة تتفرّد الحكومات الإقليمية والدولية في قراءتها من مدخل اساسي ووحيد هو نفسه القادر على التاكيد على الانقلاب الجذري بالمفاهيم السياسية من عدمها وعلى احتساب موازين القوى من البقاء على ما كانت عليه، هذا الحساب ينطلق من الحكومة الاسرائيلية وسلوكها باتجاه القضايا الأساسية المتعلقة بالحفاظ على أمنها القومي وحضورها القوي في المنطقة وكيفية شبك العلاقات مع دول الجوار من أجل الحفاظ على هذا الأمن المصطنع غالباً القائم على «المستجدّات» التي تجعل من موقعها أقوى. البحث عن الحدث اليوم هو في «إسرائيل» ويدور حولها فوحده البيت الأبيض الجهة التي تجمّد التسويات بانتظار الملف الأكبر المرتبط «بتسوية القرن أو صفقته»، ومن قلب التطور بالملف «الإسرائيلي الفلسطيني» تقدّم أرضية المعادلة الجديدة، لكنها تبدو متعثرة حتى الساعة. لا يعني ذلك عدم المضي الأميركي بها بالتعاون مع دول عربية وخليجية طبّعت مع «إسرائيل» فحسب، بل قد يعني التأجيل بانتظار تحقيق معطيات أقدر على دعم المخطط. وها هو القبول العربي لمجاورة دولة يهودية للكيان الإسرائيلي بأغلبها صارت محققة ما خلا العقبة الاساسية المتمثلة بتحالف يقوم على خليط الايديولوجية والثوابت القومية والذي يضمّ الموقف السوري واللبناني من جهة حزب الله كحركة مقاتلة. يؤكد مصدر وازن ومطلع على تطورات الحدود اللبنانية الجنوبية لـ«البناء» أن ما يطرح اليوم موضوع لدى القيادات الأمنية المعنية بمحور سورية حزب الله وإيران ضمن حلقة وحيدة وهي الفشل الإسرائيلي الكبير في الجبهة السورية طيلة أكثر من سبع سنوات، خصوصاً بما يتعلق بالهاجس الذي يطوقها من الجولان بدون أي تقدم عسكري لمصلحتها مع المعارضة المسلحة التي خذلتها إضافة الى اسباب اساسية تتعلق بتطورات قطاع غزة والإحراج الذي تسببته قوى المقاومةـ وربما ظهور صواريخ «كورنيت» التي استخدمت كدليل على إعلان واضح منها على تنسيق مع كافة الجبهات في المنطقة بالتالي صار لزاماً الحديث عن متابعة للأمر الخطير والبحث عن أنفاق وإثارة البلبلة لدى الجهة اللبنانية ويكشف المصدر لـ«البناء» عن أن الإعلان هذا مدروس جداً من قبل الإسرائيليين الذين يعرفون أن هذا لا يُعتبر اعتداء على حزب الله، طالما انه داخل الاراضي المحتلة، بالتالي يتوقعون مسبقاً أنه لا يرد فتتوضّح نياتهم بالخوف من اندلاع أي اشتباك مع لبنان. وهذا ما تلقاه حزب الله بوضوح كما أن التشكيك بصحة القدرة الاسرائيلية ينبع من استغراب ودهشة لدى أي متابع عسكري يطرح سؤالاً وحيداً وهو: لماذا لا تقوم «إسرائيل» بعملياتها وتنقض بشكل مفاجئ بدل التطبيل وإفشال العملية الأمنية؟ الأمر الذي تكرر في اشاعة وجود صواريخ حول المطار؟ يختم المصدر «بلا شك هذه البروباغندا هي أكثر ما يحتاج إليه نتنياهو المطوّق بمقاومة فلسطينية لا تتراجع وملفات فساد تلتف حول عنقه». وعليه فإن «تسويق» الموقف او حادثة الأنفاق للرأي العام الإسرائيلي المربك بسبب علامات الضعف الأمني ونتنياهو الملاحق من الشرطة وملفات الفساد وتصدر الأخير عناوين الصحف الإسرائيلية الاولى هو ضروري لشراء بديل عن هذا الحدث ومَن أقدر من الجبهة الشمالية على إشغال الإسرائيليين..
من جهة اخرى تدرك «إسرائيل» أن لبنان الذي يعيش فترة حرجة بتشكيل حكومة متعثرة يعيش ضمن انقسام حول حزب الله تسعى لتعميقه عبر تصويره أداة التعطيل الاولى وجالب كل الأخطار وباختصار اعتبار حزب الله مصدر كل خطر على لبنان وتفاقم الوضع المالي فتتزايد الضغوط عليه وكأنه ينقص بعد أن يجلب حرباً إليهم. البيت الابيض من جهته مشارك في دعم الرواية الإسرائيلية ليرسل رسائل مفادها أنه يقدر المأزق التي تعيشه «إسرائيل» فيثمر الموقف اللبناني ليهول فيه داخلياً وتصبح القضية الأولى لدى الرأي العام اللبناني اعتبار حزب الله الخطر الأكبر على البلاد.